Most orchids are grown for their attractive flowers, but the main interest in growing the jewel orchids is for their beautiful foliage. Jewel Orchids is a general term for a special group of terrestrial orchid. As they are terrestrial, they are found growing in humus on the dark hot humid jungle forest floor and are native to the Indochina and the Pacific Islands. When they are exposed to sunlight at a certain angle, the veinations on the leaves glitters like a precious gem, hence the common name “Jewel Orchid”. They are mainly cultivated for their beautiful leaves rather than for their flower. The plants have creeping fleshy stems that consist of rosetted leaves and a terminal floral inflorescence. Though its flowers are small and insignificant, it can be a pretty sight when a group of jewel orchids are in full bloom. The veinations on the leaves vary greatly and heavily veinated clones are highly sought after and are very rare. Occasionally Alba and Variegated forms are found and they are extremely rare and are highly prized by both collectors and amateurs alike. Therefore, we have pursued relentlessly to develop the techniques to clone exceptional jewels inorder to conserve the species from the wild. Due to its terrestrial growth habitat, over coming the contaminants in the tissue for the establishment of a clean culture is a major feat by itself. Majorities of the jewel orchids that are available for sale in the market are usually collected from the wild. Usually after they have been taken from their natural habitat, their motality is rather high. 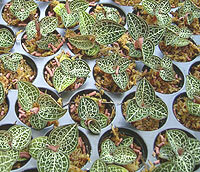 This is because they are susceptible to rot and it is also a common cultural problems for all die heart jewel orchid collectors. hardy when they are planted out in pots. 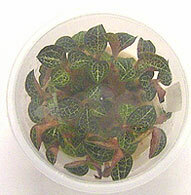 Currently we have a large collection of selected jewel orchid varieties that have been cloned and propagated. 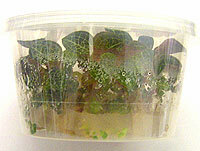 They are our pride and joy and are ideal rare plants for a unique terrarium set up.